Our Mission - To aid in maximizing grower returns by conducting advertising, promotion, and public relations for California avocados and engage in related industry activities that together help create a more profitable market environment. The California Avocado Commission is funded by mandatory assessments on all avocados grown in California, which are collected when avocados are sold. Mission: To aid in maximizing grower returns by conducting advertising, promotion, and public relations for California avocados and engage in related industry activities that together help create a more profitable market environment. Position: Through strategy, leadership, vision, partnership, perseverance, and alliance, the Commission implements actionable plans to achieve the Commission's goal: to position the California avocado industry for maximum grower returns in a more profitable market environment. 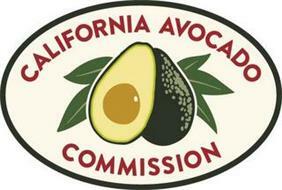 All avocados grown in California and sold must pay an assessment to the California Avocado Commission. This mandatory assessment was established by a vote of the growers for the benefit of the avocado industry. Contact the Commission for more information.